The legendary bodybuilders of old all share in the same secrets. There are many reasons as to why they achieved their success, and some of it may surprise you. We all look to people like Arnold Schwarzenegger and Dorian Yates with awe, but how do they truly achieve their physique? What does it take to become a massive man among men, and take the title of the coveted Mr. Olympia? This article will focus on the lifestyle, the fitness and the general habits of these gentleman, in a celebration of their achievements. Who knows? If you’re that way inclined, you may just become the next king of the bodybuilding world. Bodybuilders eat BIG. Most of their frame is built in the kitchen, and for good reason. We have a faulty idea of bodybuilders eating ultra clean foods the entire time. Often, they eat very calorie and protein dense foods. It’s not uncommon to see a ‘bulker’ (the term for putting on both muscle and fat in a short space of time,) eating McDonalds or other calorie dense foods. In fact, one of the most popular common methods of putting weight on a small frame is the GOMAD (gallon of milk a day) method, as well as four supplementary meals. This sounds like a huge amount of food, and it truly is. Still, it’s not impossible to achieve, depending on your height, weight, and how quickly you get used to it. Bodybuilders, while strong, are often not in the best cardiovascular shape. Sure they lift hard and heavy, and workout with amazing and steadfast discipline, but if challenged to a martial arts fight, a powerlifting contest or a run, they’d be deficient. Bodybuilders are more akin to sculptors in the athletic world, and deserve to be admired for that. The term athlete does apply absolutely, but from a competitive standpoint, perspective and not performance will win out on stage. ‘Cutting’ the opposite of ‘bulking’ is the term that bodybuilders use to describe losing a bunch of fat to get ready for a competition. Often this means diets high in water, high in fibre, high in vitamins and minerals while low in calories. It also means an excess amount of protein and supplements to avoid losing muscle along with the fat. One of these supplements is known as BCAA’s (branch chain amino acids,) which contribute to the maintenance and sustenance of the muscle in general. The secret is that most of these bodybuilders are at their weakest when on the stage. For the final 24 hours they are often starving, thirsy and lacking in nutrients in order to achieve the very low bodyfat percentages. This is the most unhealthy a bodybuilder will ever be in his career, which is interesting to think this is what they are graded on. It makes sense though, the sport is all about looking fantastic on stage, and sometimes that comes with its downsides. Most every bodybuilder who has won Mr Olympia has taken some form of steroids. Anabolic steroids remains on of the most popular methods to gain size quickly. It’s illegal in some states, legal in some and a grey area in other states or nation. Most competitions will check for steroids, but it can be easy to hide their use from inspectors. For more information, visit http://aretheyonsteroids.com/legal-steroids. Of course, there’s a lot more to their entire process than steroids. 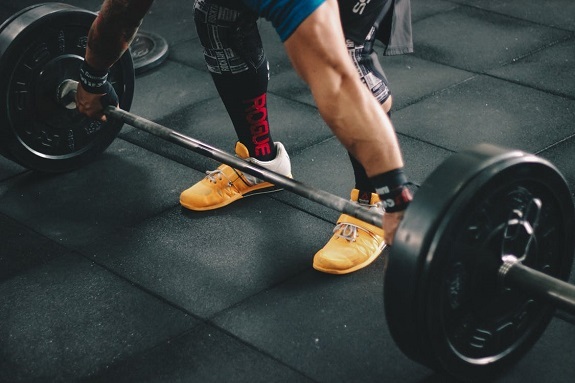 Steroids simply help them achieve a level of growth which otherwise may not have occurred, but this doesn’t take away the unbelievable amount of effort and discipline it takes to get in that position first and foremost. If we really are fair to bodybuilders, we would see that taking steroids is nothing more than a way to truly compete within an industry rife with the drugs. All of the Mr Olympia and Mr Universe competitions were won by truly deserving folks, so please don’t take our insight as a condemnation or a declaration that this competition is any less legitimate than it has a right to be. Any bodybuilding fan will know that the steroids use are inconsequential. What matters is the progress, the discipline and the respect for the sport. This also doesn’t mean bodybuilding is impossible without these implements. Natural bodybuilders can be found the world over, and are just as impressive as their more well-known counterparts. The sport of bodybuilding is for certain attractive to many people, and everyone has their own take on what it means. Bodybuilders aren’t afraid to be indulgent from time to time. During the bulking phase, they are more than able to rest happy in the knowledge that calories are contributing to the best body they can achieve. That’s why there are many videos of Arnie chugging down beer steins months before his main title defense. Of course, many bodybuilders are completely clean, and prefer to simply eat vegetables, chicken and rice every day of their lives. This helps them achieve more efficient growth without fat, and generally feel healthier from day to day. Bodybuilding is perhaps the most individual sport possible outside of MMA and Boxing. You enter the sport as your complete self, without teammates or additional helpers to guide you. As you progress, you may form a team around you, and begin to get noticed in general. The temerity it takes to put yourself forward, accept sponsorships, train everyday and become more comfortable in the difficulty of your mind than ever takes someone with the heart of a lion, and the mind of a monk. This is what makes the sport of bodybuilding so exciting, as charting the path of an individual’s progress can truly feel like a historic and personal experience. This is why bodybuilders enjoy such wonderful entourages, and we’d suggest those are more than well deserved. Bodybuilders the world over are pushing the limits of the human body and showing us just how beautiful, strong and able we are capable of being. We owe them all a debt.